Skilled workers get more salary and respect in comparison to those who are perhaps not as skilled. This is why individuals who are educated and ambitious want to start out their career as skilled workers. The same is very much true for construction industry. Unskilled workers start their career as labourer and get the required ‘Green Labourer Card’ for that. For skilled workers, it’s the Red CSCS Cards that they require. Depending on your qualification, there are two types of Red CSCS Cards you can use to get into the construction industry. This route is meant for individuals going through a recognized apprenticeship framework. Once you are registered, you can apply for CSCS Red Apprentice Card to gain access to construction sites across the country. After all, a practical job calls for hands-on training. What’s the process to gain CSCS Red Apprentice Card? First you’ll need to prove that you are registered for a recognized apprenticeship framework. Second, you’ll need to pass either the CITB Health, Safety & Environment Test or any relevant health and safety training provided by the Apprenticeship Managing Agency. The card is valid for 4 years and is non-renewable: so, make sure you complete your apprenticeship before that and move up to a skilled CSCS card such as Blue or Gold CSCS Card. This card is for those individuals who are studying in college/university for a construction related qualification. You need to register for the relevant qualification and pass the appropriate CITB Health, Safety & Environment Test to obtain the card. 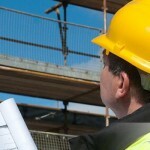 How do I get a Red CSCS Card? At Construction Helpline, we’ve helped thousands of people over the years start their construction career by getting a Red CSCS Card. From card to test and more, we are the construction industry’s ‘one stop shop’. Give us a call on 0207 199 9800 to learn more about the Red CSCS Card and how you can get one today.